It’s been a long time since I was first introduced to Joey Pigza. In fact, 1998 to be exact. I picked up a copy of JOEY PIGZA SWALLOWED THE KEY and loved the story of Joey, a boy getting engulfed by his ADHD. Told from his perspective, he reminded me of a few of the Joey’s I had in my classroom. I had heard there was a sequel planned and looked forward to seeing Joey again. Unfortunately, I never had the opportunity to return to Joey’s world until now. It happened after reading DEAD END IN NORVELT, and it reminded me that Jack Gantos had written the Joey Pigza series. 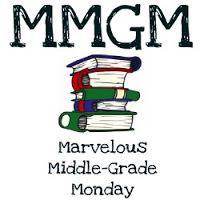 Sure enough, there were three more books in the series (JOEY PIGZA LOSES CONTROL followed by WHAT WOULD JOEY DO?, and the topic of this week’s review, I AM NOT JOEY PIGZA). When I came across Joey Pigza on the library bookshelf, only the first and last book were waiting for a reader – the others were checked out. I took a chance that by reading book #4 before the middle two, I would not be lost with plot points. It turned out to not be a problem, as the final Joey Pigza book fills in any holes and stands on its own. FULL PLOT (From Amazon): Just when Joey Pigza’s wired world finally seems to be under control, his good-for-nothing dad pops back into his life. This time, though, Carter Pigza is a new man – literally. After a lucky lotto win, Carter Pigza has a crazy new outlook on life, and he’s even changed his name to Charles Heinz. He thinks Joey and his mom should become new people, too. Soon Joey finds himself bombarded with changes: a new name, a new home, and a new family business – running the beat-up Beehive Diner. He knows he should forgive his dad as his mom wants him to, and get with the new family program. But Joey is afraid that in changing names and going with the flow he will lose sight of who he really is. In this rocket-paced new chapter in Joey Pigza’s life, a favorite hero discovers what identity and forgiveness really mean, and how to cook a delicious turkey burger. The way Joey handles forgiveness. He is way smarter than the adults in his life. How the author crafted Joey’s thoughts. Joey often believes things maybe aren’t going so well, but then his upbeat voice tells him otherwise. Things he may not supposed to be doing is stuff every kid would smile at – not going to school, practicing his cooking skills at the yet to be open family diner, being the target in a paint ball match. Joey gives every kid who may be in an unfortunate situation hope. He’s being raised by two parents who would be runaway winners of the Worst Mom and Dad award, but Joey’s true smarts rise above that. You feel Joey will become a decent, successful adult. This is one of those books that would appeal to a large audience. From eight years old up to adult, boys and girls alike. Great writing has that power. I couldn’t answer because my head began to throb and my brain swelled up like a sponge full of tears. 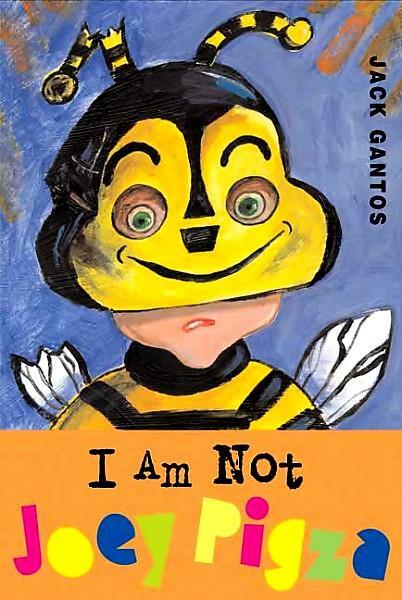 This entry was posted in Reviews and tagged I am not Joey Pigza, Jack Gantos, Middle grade, Middle Grade Book Reviews. Bookmark the permalink. I hadn’t heard of this series. As someone who grew up with a sibling with ADHD, it sounds interesting. I’ve heard of these before but never read any of them. Clearly, I have to do something about that! I’m ashamed to say I haven’t read any Jack Gantos, though his books have been on my list for a long time. Time for me to get reading. Thanks for the rec! Great post, Greg. I, too, read a Joey Pigza book (Loses Control) after reading Dead End in Norvelt (which I really loved!). What a terrific character Joey is. Thankfully, it didn’t matter that I hadn’t read Joey Pigza Swallows the Key first. Now I want to read them all. I hadn’t heard of these books, but they sound like good ones. I’ll have to check them out. Thanks for telling me about them. Oh my word, does this ever bring back some long ago book talking memories! Thanks for the trip down memory lane and the reminder to look back for good reads to share. Jack Gantos has such a refreshingly distinct voice, and all of his books are so different from each other. I think this is the only Joey Pigza book I haven’t read, but I can still remember some scenes from the first book very vividly. He’s the kind of character who just sticks with you. Thanks for the review!